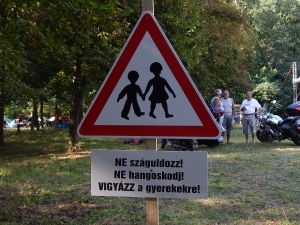 Welcome to the International Sidecar Rally in Hungary. The program is made for the needs of families and children. The Rally place is also suitable for wheelchair access. 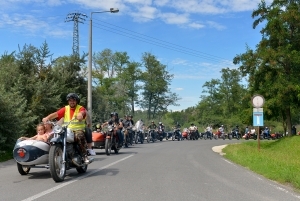 Beside the usual Rally program we have organized guided group rides into the surrounding area, city tours, stunt show, sidecar exhibition and a Concours d’Elegance. For the children we have provided a concert with a very well-known band especially for kids. The adults can rock half of the night with the best rock bands. The campsite has two areas. The front area is closer to the show stage (and has shorter distance to your own tent). The rear area is particularly suitable for families who are looking for a little more quite place for themselves and their children. Of course the infrastructure of the city with its thermal baths and all the tourist facilities are available to our guests. On the meeting area you can find a loud and a silent camp.